January 23 AQUAMAN #44 OUT 1/23! 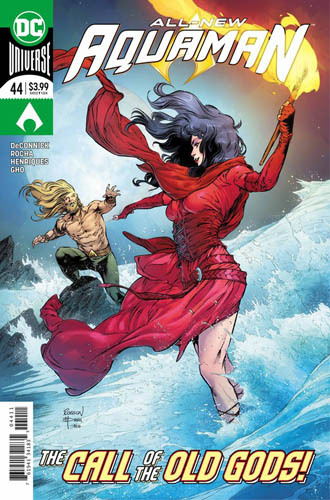 On stands now, AQUAMAN #44, part 2 of the 5-part UNSPOKEN WATER story. Words by Kelly Sue DeConnick! Pencils by Robson Rocha! Inks by Daniel Henriques! Colors by Sunny Cho! Letters by Clayton Cowles! Blublublublublub! AQUAMAN #44 (or, as literally all the hip kids are calling it, #THEQUA 44) is available now at your local/online/digital comics store.